HUGE PRICE REDUCTION!! 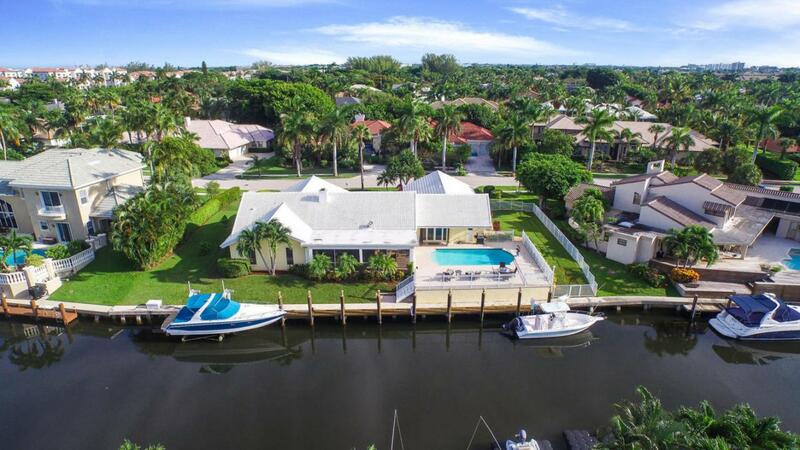 Fantastic opportunity to own 145' on deepwater w/ SOUTHERN EXPOSURE on a lot and a half (15,000SF+) in desirable Boca Bay Colony! This beautiful 4 bedroom ranch style home features a cape cod style facade with beautiful river rock accents and spacious yard and swimming pool, all overlooking the waterway. Vaulted ceilings and stone-walled wood burning fireplace with marble floors throughout. Newly updated eat-in kitchen redone with granite countertops and GE Profile appliances w/ breakfast nook. 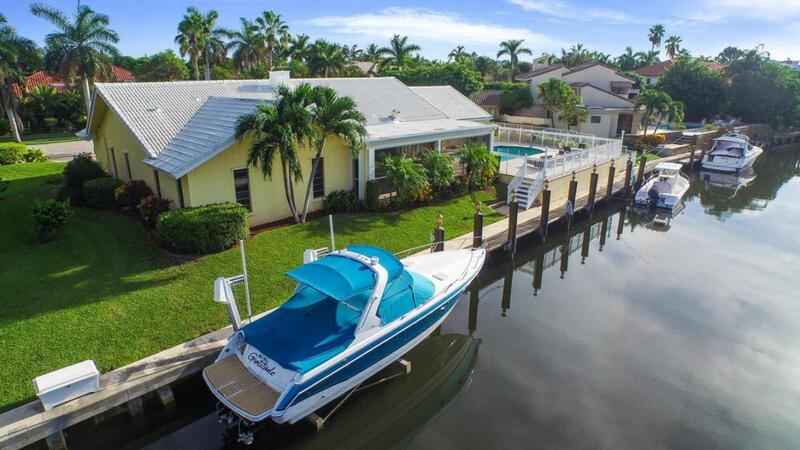 145' batter piled seawall w/ 90' dock has water & electric w/ a 15,000lb remote controlled boat lift!! Plenty of room for multiple water vessels w/ NO FIXED BRIDGES! Circular driveway and 2-car garage w/ rubber flooring allows for ample parking. Newer A/C units.Custom Hunter Douglas window treatments just installed ($10,000). HUGE master bedroom has dual walk-in closets and a marble bathroom w/ freestanding bathtub. French doors line the back of the living room, overlooking the beautiful water. 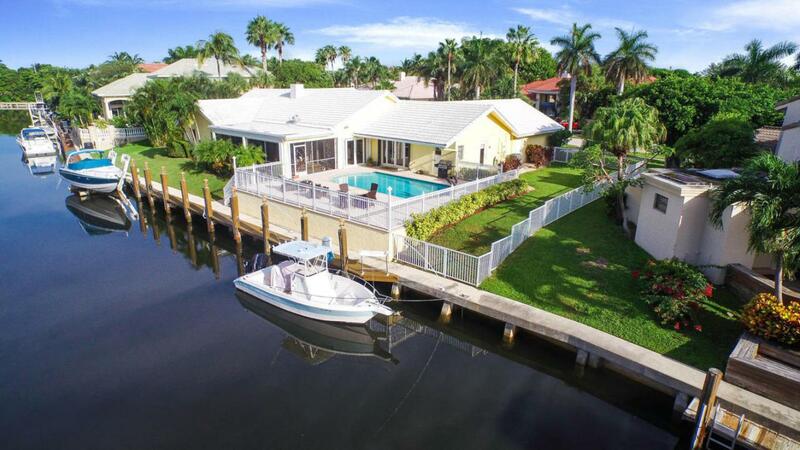 Outdoor summer kitchen and screened patio w/ tropical pool area is perfect for entertaining. Move right in or build your dream home on this magnificent lot which can easily accommodate a 6,000SF mansion. 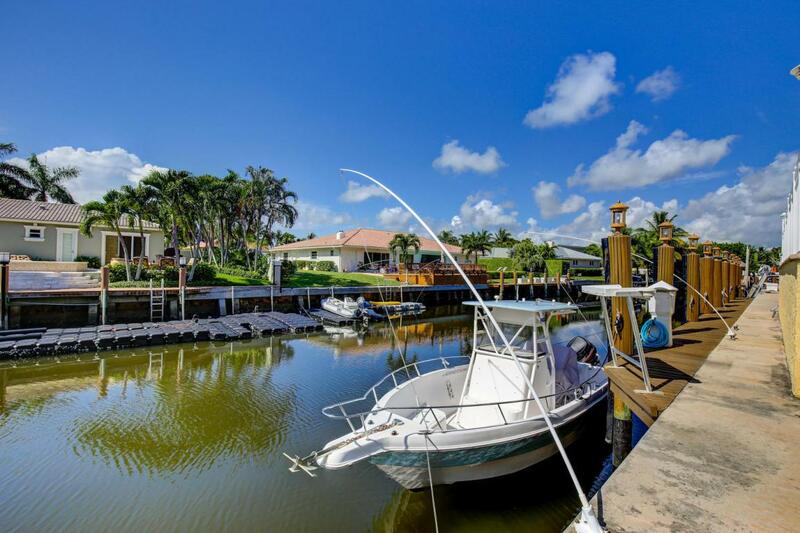 Boca Bay Colony is an upscale, desirable waterfront community with sidewalks, tree-lined streets, underground utilities, and pride of ownership that can be seen by the immaculate homes. Nearby downtown Delray Beach has the best shopping, dining, and nightlife while Mizner Park and Royal Palm Place are just minutes away!! The white sand beaches of Delray Beach and Boca Raton are a short bike ride away over the Linton Blvd bridge.